Deeper Waters Podcast 11/11/2017: Richard Bauckham. Can we trust the Gospels? One of the questions that this comes down to often is the question of who their sources are. Were they written by eyewitnesses? Did they use eyewitnesses? Can we really trust anonymous sources like the Gospels? Did the Gospels even cite their sources? Even if the Gospels are eyewitness testimonies, can we still trust them? Can’t eyewitnesses get things wrong? Why should we treat the Gospels as if they are serious historical works and their information is something that we can base our lives on? In order to discuss this, I decided to have come on a second time a scholar who has done in-depth research on this. He has done so much that he has updated his great work on this topic. 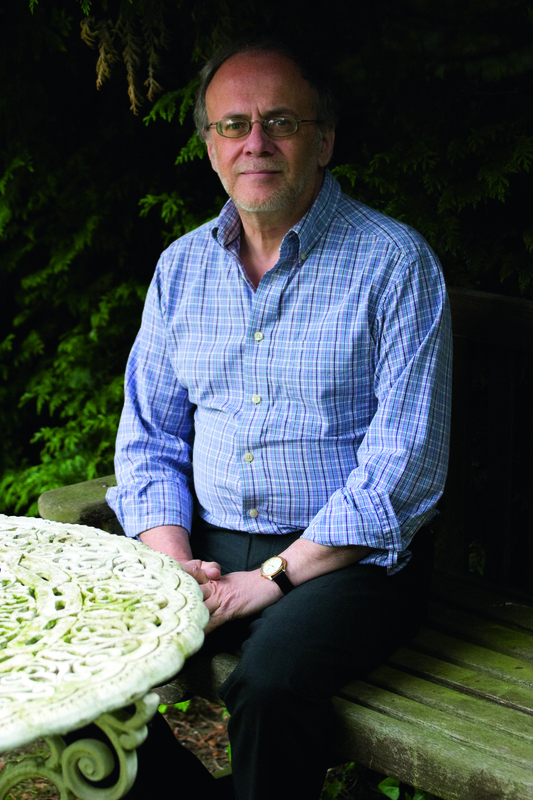 The work is Jesus and the Eyewitnesses and the author and scholar is none other than Richard Bauckham. So who is he? I hope you’ll be watching for this episode. We’re going to get a good in-depth look at this important book that every student of the New Testament needs to know about. Please be watching for this one and go on iTunes and leave a positive review of the Deeper Waters Podcast. Posted on 9th November 2017 Author Nick PetersCategories Apologetics, Book Plunge, Historical Jesus, New Testament, ResurrectionTags Bauckham, Deeper Waters, eyewitness testimony, Gospels, historical Jesus, Jesus and the Eyewitnesses, Nick Peters, Papias, reliability, Richard BauckhamLeave a comment on Deeper Waters Podcast 11/11/2017: Richard Bauckham. How did we get the story of Jesus? How has it come to us? Bart Ehrman has recently written Jesus Before The Gospels, a book that I have reviewed as well. Still, there are a lot of questions that you would like to have a real scholar interact with. What about oral tradition? What about eyewitness testimony? What about the claims that Papias got some things wrong? Is there any scholar who has worked on oral tradition and Papias and eyewitness testimony and could respond to Ehrman and his claims? Why yes there is. 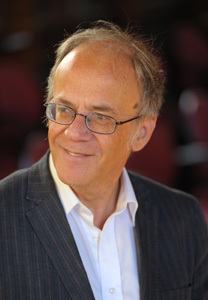 One of the leading ones is Richard Bauckham, and he’s my guest this Saturday on the Deeper Waters Podcast. Who is he? I am a biblical scholar and theologian. My academic work and publications have ranged over many areas of these subjects, including the theology of Jürgen Moltmann, Christology (both New Testament and systematic), eschatology, the New Testament books of Revelation, James, 2 Peter and Jude, Jewish and Christian apocalyptic literature, the Old Testament Pseudepigrapha, the New Testament Apocrypha, the relatives of Jesus, the early Jerusalem church, the Bible and contemporary issues, and biblical and theological approaches to environmental issues. 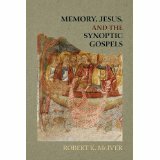 In recent years much of my work has focused on Jesus and the Gospels. Probably my best known books are Jesus and the Eyewitnesses: The Gospels as Eyewitness Testimony (2006), God Crucified: Monotheism and Christology in the New Testament (1998), The Theology of the Book of Revelation (1993) and Bible and Ecology(2010). As well as technical scholarship and writing aimed at students and those with some theological background, I have also written accessible books for a wider readership, of which the best known is At the Cross: Meditations on People Who Were There (1999), which I wrote with Trevor Hart. A recent book is Jesus: A Very Short Introduction (2011), published in Oxford University Press’s Very Short Introduction series, and providing a historical account of Jesus for the general reader. Various of my books have appeared in translation in Italian, Japanese, Chinese, Russian, Korean, Spanish, Portuguese, French and Farsi. We’ll be discussing Bauckham’s book Jesus and the Eyewitnesses as well as discussing Ehrman’s book. This is an interview I have been looking forward to for a long time and I hope you will be listening as well. Be watching for the next episode of the Deeper Waters Podcast!